The last thing I heard from Orleans’s Last Avenue was their impressive 2015 album Integration Protocol – an admirable chunk of industrial metal with many electro and pop influences shining through, though never hindering the quality. The prime issue I had with their previous LP was its length. Twelve tracks of relentless mechanical pounding will eventually grate on the senses no matter how punchy the production, nor how patient the recipient. That was my only serious complaint, and one which the Frenchmen appear to have addressed directly upon the release of their new album Identity. At a far more manageable eight tracks and 31 minutes, Identity not only succeeds in pummeling its audience to fragments of dust, but leaves them on a cliffhanger of sorts, salivating for more. I may not encounter much industrial metal on my yearly musical journeys, but I can say with no uncertainty that Last Avenue have bestowed upon me the best of 2017. Last Avenue cite their prime inspirations as Rammstein, Linkin Park and Prodigy – which makes sense, due to all the electronic shenanigans. But also Korn, Nickelback and Stone Sour – which utterly perplexes me! Even though I can hear no influence from the latter acts, I suppose I must be grateful to them for helping shape a sound as vibrant, addictive and crushingly heavy as this. Angular melodies slash at your face, digitized effects cut through the thick tone, and percussion pummels relentlessly on the beat with almost caveman-like simplicity. It’s business as usual for the Frenchmen, but this time around it feels ten times larger. Listen to the first twenty seconds of single “We Run” – that kind of snare-fronted, chromatic, full-chord riff is Last Avenue’s calling card, and it happens rather a lot. But it’s performed with such gusto, it’s a pleasure each time round! The vocals are quite an anomaly. Lyrically, Identity carries on the band’s usual technological fayre – dealing with the struggle for individuality between man and machine. It’s appropriate if a little unoriginal. But the way the lyrics are conveyed, both through heavily-altered electronic vocoder effects, and remarkably admirable ‘pure’ vocals, both clean and harsh, is the point of interest. Hell, sometimes whole minutes can fly by with no vocals at all! This results in there being no even structure to each track – other than the occasional recognizable chorus line – and produces an alienating atmosphere which is intriguing rather than off-putting. I mean, with riffs as huge as the opening of “Neon Animals”, or the 3-minute mark of “Edgeless Life”, who needs verses and choruses, am I right? Whilst we’re on the topic of riffs; the opening riff to “Repellent & Violent”, followed by the breakdown at 2:29 – ow, my neck. In stark contrast, closing track “Struck” ensures the whole affair ends with an ethereal cliffhanger, rather than the crash one might expect. This album is structured wonderfully, each song exuding the theme of the record, but bringing something a little different each time. The not-so-brief interlude “Partials” was a stroke of genius; breaking up the album appropriately into two segments, while being a curious and disturbing piece of electronica in its own right. It’s rare that ‘filler’ of this length actually earns its place. It strikes me that Last Avenue could probably forge a successful career as techno artists, or perhaps release some pure electronic albums, much like Eluveitie did with their folk. However, with the sheer quality of vicious hammering displayed on Identity, that would be a massive waste! Also worth mentioning is the slight redo of “Fear To Stay” from their previous LP, creatively re-titled “Fear 2 Stay”- they beef up the sound of the original, and add a whole introductory section with a hulking groovy riff. 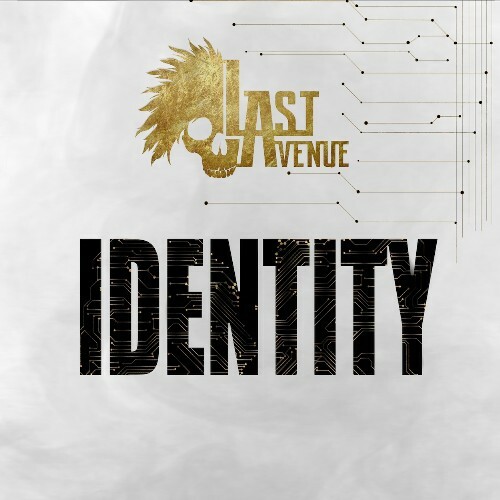 If you’re looking for something that appeals to Static-X fans, but is actually more akin to Pitchshifter on steroids, Last Avenue have got your back. And your skull. And they’re fashioning robots from them. This entry was posted in Bands, Reviews and tagged 2017, French industrial metal, French Metal, Identity, Independent, Industrial Metal, Korn, Last Avenue, Linkin Park, Nickelback, Pitchshifter, Rammstein, Static-X, Stone Sour.